We pride ourselves on our ability to provide world class facilities and services that our guests have come to expect from us. From services that come with our compliments to every traveler to the more specialized requirements of the weary business executive, we’ve attempted to pre-empt your every need. Should you have a requirement which is not listed here, please feel free to contact us so that we can arrange it for the duration of your stay. Complimentary wireless Internet connectivity in all rooms and public areas for in-house guests. Each room is custom-designed with unique and refreshing décor to reflect the beauty, charm and understated elegance that Cape Grace is famous for. It’s the talent of today’s local people that brings to life the characters of the Cape’s past, making the recently completed refashioning of Cape Grace an incredibly warm and delightful story of humanity. Each of our Penthouses consists of a spacious room with generous lounge and dining areas and a walk-in closet, while the large top floor terrace ensures breathtaking views of the Waterfront and the city. A private Jacuzzi and outdoor dining area on the terrace creates the perfect setting for romantic dinners for two. Ideal for honeymoon couples or those wishing to indulge in an utterly unforgettable experience, you’re bound to leave feeling on top of the world. The Spa at Cape Grace invites guests to indulge in a number of pampering treatments designed to relax and rejuvenate. Superb facilities set in stylish surrounds are complimented by highly skilled staff and a menu of innovative treatments inspired by the African continent to ensure clients leave with their wellbeing restored. Sweeping views of Table Mountain, the city and the yacht marina add another impressive element to the sensory experience. Whether a weary business executive in need of stress relief or a leisure traveller wishing to enhance their holiday experience, the magnificently situated top floor spa is a welcome and restful retreat. Any one of the African-inspired treatments that use locally harvested products and ancient methods are undoubtedly a superb way to make the most of your Cape Grace stay. “Spirit of the Cape” is the privately owned luxury yacht available for the exclusive use of Cape Grace guests. She is a 56ft Aicon fly-bridge luxury motor yacht berthed in the cosmopolitan yacht marina with private access for hotel guests. Various Cape Grace experiences can be enjoyed on board ranging from spa treatments, whisky tasting, cruises to world famous beaches such as Camps Bay or Clifton, as well as tailor made cruises to the destination of your choice. Grace’s team of chefs whilst anchored at the world famous Clifton or Camps Bay beaches. Relax whilst sipping champagne and enjoying oysters on a sunset cruise down the Atlantic seaboard and enjoy being comfortably accommodated on the teak covered deck. From chartering the yacht for a romantic get-away for two, to a sunset cruise for a party of twelve, this five star vessel offers a genuine sense of exclusivity and the highest standards of hospitality. The sleek interior is beautifully crafted by Sicilian designers creating a truly luxurious experience. The Aicon 56 is a motor yacht distinguished by its elegant silhouette and high performance hull, whose design earned international recognition right from the first launching. Whilst you are free to select your own route, we suggest some of Cape Town’s popular destinations along the coast of the Peninsula. Bascule’s delightful combination of intimate interiors and sun-drenched marina deck, charm both the conservative and chic sets. With the largest collection of whiskey in the Southern Hemisphere, the sophisticated venue can also host private whisky tastings for up to 25 guests or cocktail functions for up to 60. The exclusive Bascule Whisky Club and Bascule Vinotheque offer private collectors a unique opportunity to rent storage space for their whisky or wine collection. The Mother City has a peculiar habit, once a day, Capetonions check their watches… at exactly the same time without consciously thinking about it. At exactly 12h00 every day, a loud bang, fired from a cannon on Signal hill announces to the city that midday has arrived. With panoramic views of Signal Hill, Signal provides a welcoming setting on the water’s edge in which to enjoy fresh local ingredients, not only when the noon-day canon signals lunchtime, but at any time of the day. Cape Grace goes beyond 5 stars, with stunning views of either Table Mountain, the Victoria & Alfred harbour or yacht marina from every single one of our 121 rooms; it’s a luxury that takes a little time to get used to. Situated on a private quay in the V&A Waterfront, you could be forgiven for feeling that Table Mountain belonged to you after taking in the view from your room and enjoying close proximity to all the major city attractions and hot spots, as well as easy access to Cape Town International Airport. 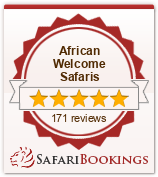 Our unsurpassed standards in personal service and luxurious elegance have earned both many guest returns and awards.